We invest in training in order to handle and fully understand the most used technologies on the market and to anticipate new concepts. We seek out the best possible way of doing things. Quantobit has extensive experience in the development of Eclipse plugins. This experience ranges from requirements analysis to application testing, covering the following areas. Rich Client Platform (RCP) applications. Integration of web browsers (IE and Mozilla Firefox) into Eclipse. Customisation of Update Manager and Update Site. Customisation of code repository management. Code generation and testing via Jenkins. Our experience with database management systems is very extensive.We can develop applications and work on creating, configuring and standardising SQL databases (MySQL, Oracle, DB2, SQL Server, PostgreSQL, Sybase) and NoSQL databases (Cassandra, MongoDB, Lucene/Solr). Development and execution frameworks: Spring, Banksphere, FWPA, Hibernate, Ibatis, JPA. Plugins for Eclipse (OpenSource) and WSAD (Websphere Studio Application Development – IBM). Programming and configuration of high-performance Java runtime architectures on application servers (Websphere, JBOSS, Tomcat). Development and deployment of applications in pure IaaS environments (MS Azure, Amazon WS) or PaaS (Pivotal or Bluemix, both based on standard Cloud Foundry). 8. Development of applications on multiple operating systems Linux, Unix (HP-UX, AIX) and Windows, for the implementation of solutions in all areas.  Databases: BBDD SQL (MySQL, Oracle, DB2, SQL Server, PostgreSQL, Sybase) and BBDD NoSQL (Cassandra, MongoDB, Lucene/Solr).